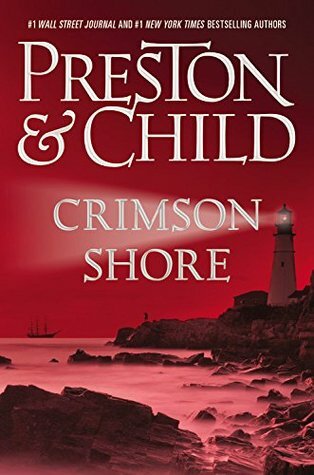 The first two-thirds of Crimson Shore were absolutely fantastic – the very definition of a page-turner. The Poe-esque hidden burial chamber, they mystery of the lost shipwreck, the terror of the mud flats and salt marshes, the forgotten community of Salem witches, and the creepiness of small town America all combined to provide the perfect Agent Pendergast story. It had plenty of atmosphere, a legitimate mystery, some dark humor, and even a bit of awkward romance. Fully healed and completely recovered from his last few adventures, Pendergast is once again the fascinatingly enigmatic man-in-black with whom we are most familiar. His eccentricities are on fully display, and his Holmesian knack for reading people is on point once again. While never quite infallible, the almost superhuman aspect of his character is back, both mentally and physically. At the same time, Constance Greene is quickly developing into a leading character in her own right. She’s been displaying more personality in each book, but here she really steps into an investigative arc of her own. Her total lack of social skills, combined with her almost psychotic rage, is a perfect contrast to Pendergast’s polish and perfection. What’s more, Constance has the opportunity here to be part of two equally awkward romantic entanglements. The weird sort of crush that Sergeant Gavin has on her is perfectly understandable, even if it does go completely off the rails later on. Far more interesting, however, is her romantic tension with Pendergast, a scenario that manages to be both sad and amusing. As for the final third of the book, it’s as awkward and forced as anything Douglas Preston and Lincoln Child have ever written. It honestly feels as if they reached the climax, realized the story wasn’t long enough, and decided to tack on some supernatural adventure. What’s unfortunate is that it really could have worked, if only they’d made an effort to better integrate it with the rest of the plot. Yes, it's connected, and the false end of the original subplot is important to Constance's character, but the narrative link is tenuous, at best. 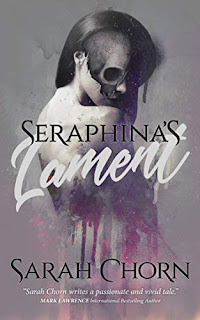 As a standalone novella, I rather enjoyed it, but in the context of the rest of the story it felt tacked on, rushed, and (worst of all) artificially constructed to allow for another Pendergast-is-in-peril cliffhanger endings. 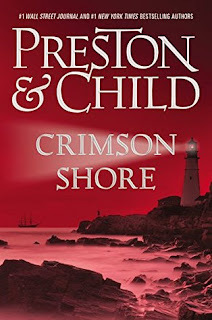 Maddeningly uneven, Crimson Shore is one of those books that I loved . . . and then hated . . . and then enjoyed somewhat ironically . . . and then just became exasperated with. 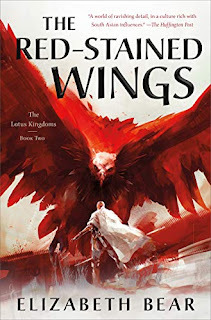 I wish I could be as unreservedly enthusiastic about is as some advance readers, but it’s one structural edit away from being a truly solid Pendergast adventure. Bummer! I was really looking forward to this one. Will keep your assessment in mind when reading it. Even two thirds of an excellent Pendergast tale is good enough. 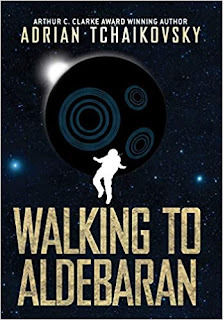 I've seen a ton of advance 4 and 5 star reviews, so maybe I'm just being picky, but it is an abrupt shift in story for that last third, with no transition. The book seems more focused on Constance rather than pendergast. I am getting fed up of reading about a 115 year old teenage girl with crazy sexual and murderous tendencies who is now becoming a detective in her own right. Soon the series will be renamed to Constance Ward of Pendergast torn between pendergast and his brother. Came here from Goodreads and just had to comment because I so agree with your review. I read this in my Kindle and, when the first "subplot" ended I was like, wtf? this thing says it's just 65% of the book? what's next? It had been really good up to that point and, as you say, it was nice seeing old Pendy catch a breath against a beatable, if cunning, opponent. But the "proper ending was way way over the top, it completely shifted the path we have been lead to follow. It mad eme feel somewhat deceived and disappointed, it looked like a cheap magician trick. I think you nailed it: they realised they only had a novella in their hands, not a novel, and the ending was an afterthought. I'd like to think that's what happened, otherwise maybe I've been regarding these guys' writing skills too highly. I still love Pendergast, but I'm finding myself liking the other Preston and Child's characters (i.e. Jeremy logan, Gideon Crew and Wyman Ford) more as of late. I don't dislike Constance, but I agree with the other reader here, krupal, who said that she's taking too much over. P.S. English is not my first language, so bear with my mistakes. I think you're right on, and your English was certainly good enough for me to understand what you said and agree with it.